In Social Studies, my 5th graders have been learning about the causes of the American Revolution. Recently, they were researching ‘The Boston Massacre’. Being that we are in the US, the texts that we have, have a colonist/American point of view. This lead to; what was the British take on it? This lead us to a Google Search. However, we didn’t want to view anything that was written in the US, we wanted information from the UK. So how did we find out the UK point of view? We navigated to a new tab, which brought up Google. While being logged in, we typed our query ‘Boston Massacre’. Now to filter our results for information from the UK. Located on the upper right side is a ‘gear’. Choosing it brings up a drop down menu. From this, click on ‘Advanced search’. This sends us to a new page with several search filters. For our Boston Massacre example, we located ‘region’. This allowed us to narrow the region in which the information was published. We chose United Kingdom (this lead to a side conversation about ‘What is the United Kingdom?’). Then clicked the blue Advanced Search button on the lower right side. This brought up the search results with the filter in place. All results were from the UK. This, of course, led to an interesting discussion on why the accounts that we had been reading about and the accounts according to the UK were different.It was a great opportunity for my students to experience different points of view, why they exist, practice critical thinking skills, and begin to learn to question what really happened. Recently, my students learned about Jamestown and Pocahontas. The adopted textbook told the story through the eyes of the United States. This was interesting, but I wondered how England viewed those events. As a result, we researched what the UK had to say about those subjects. We refined our search to find only items that were from the UK. 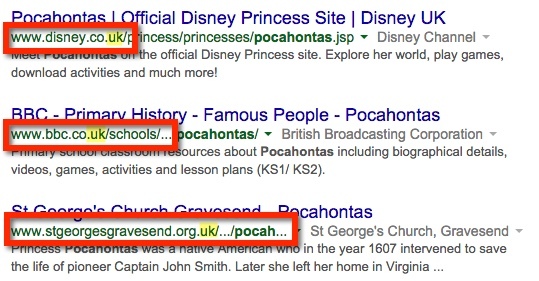 We started with our basic search, ‘Pocahontas’. Then went to the ‘Gear’ for an Advanced Search. This takes us to a new page filled with search options. 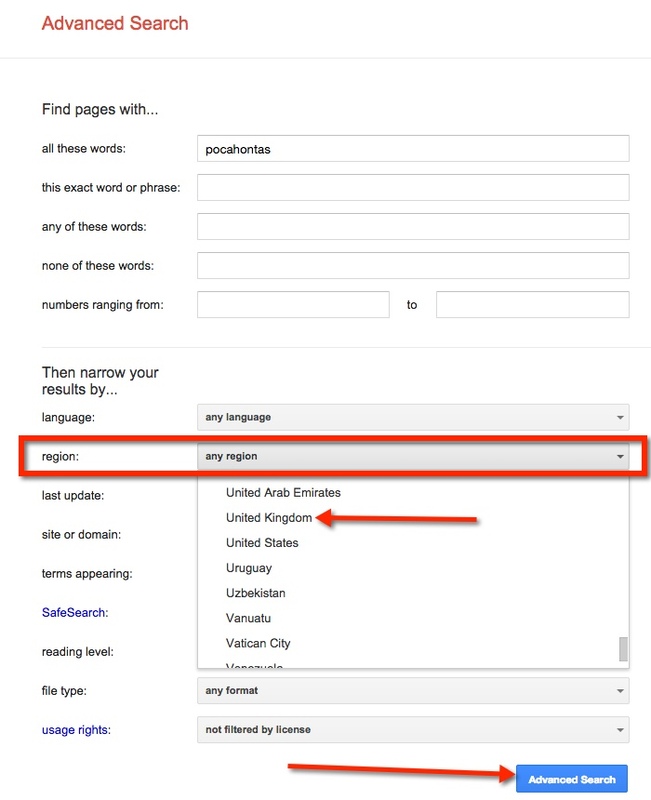 For this post, we will focus on searching by Region. Finding the ‘Region’ choice, select the down arrow located on the right side of the gray bar that reads ‘any region’. This then allows the drop down menu to appear. Then select the desired region. We chose ‘United Kingdom’. Finally, select the blue ‘Advanced Search’ button located on the lower right side of the screen. Notice the Web Addresses of the refined search. They all are from the United Kingdom. Incidentally, we found a game on the BBC website that had some interesting facts. As of recent, this feature is no longer available. There IS such a thing as ‘Too Much Information’! When students begin ‘researching’ on a particular topic, they all too often type in the topic and choose the first link in the list. We need to help guide these students to better resources that they are able to access. 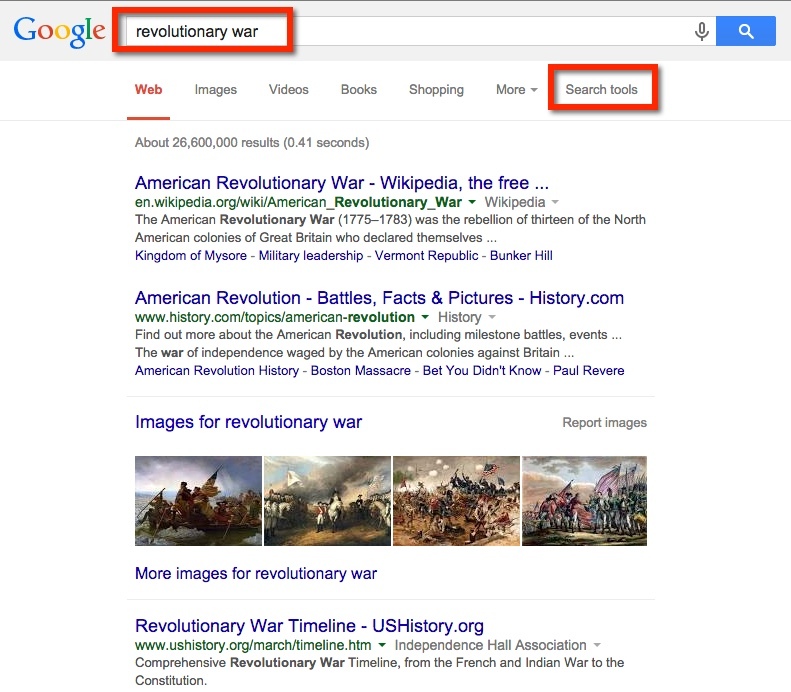 One quick way is to teach students how to search by reading level on Google. My students will soon begin learning about the Revolutionary War. When I ‘Googled it’ I was given a long list of websites and images. This is NOT what I want my students doing. They will inevitably go to wikipedia, ‘read’ information, become overwhelmed, and ultimately copy sentences. Thus driving me nuts. As I would like to avoid the whole frustrating process – for both our sakes – I am teaching them some basic search skills. So here’s what I got when I typed ‘Revolutionary War’. Notice that along with images and videos along the top bar (below the search box) there are ‘Search Tools’. This is what I want! When I choose ‘Search Tools’ a secondary ‘bar’ appears on the next line. Choose ‘Reading Level’. Doing this will result in the ability to choose ‘Basic’, ‘Intermediate’, or ‘Advanced’. For my 5th graders, I encourage them to choose ‘Basic’. Explaining that the items that will be displayed will be closer to their reading level. 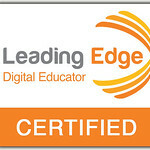 It’s as easy as that to find information my students can access on the Internet. There is a lot of information out there, we need to arm ourselves and our students with the necessary tools to wade through it. 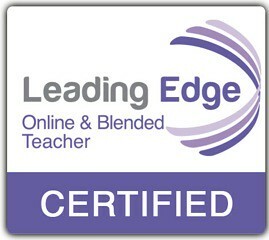 So after attending Google Teacher Academy, I now have so much to share. I will start with some basic search features. Use only key words — don’t use complete sentences. Have students draw picture of what want to search. Only type words that were drawn — this helps students find key words. student draws a dog or dogs and China. Only type those 2 words. Searches need to go beyond words.